I always love buying handmade when I have the option. It always feels great to support the movers & makers who have the same entrepreneurial dreams I do. The Rising Tide Society has been introducing so may creative people into my life! As I've alluded to a few times on LPF, Kyle & I are in the process of getting ready to renovate his family's 100-year old farmhouse (hear more about it on our new episode of Our First Drink). 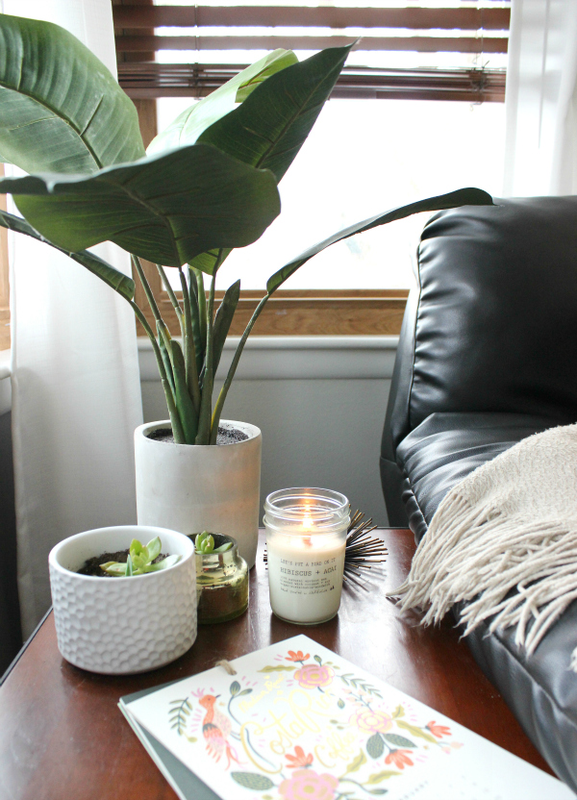 Here's a peek at our struggling succulent plants & Hibiscus + Acai candle from Let's Put a Bird On It. Whenever I'm burning this bad boy it takes me right back to our Hawaiian engagement. This winter has been SO cold that we seem to have a candle burning constantly to give our place a cozy vibe. Needless to say I'm looking forward to spring time! 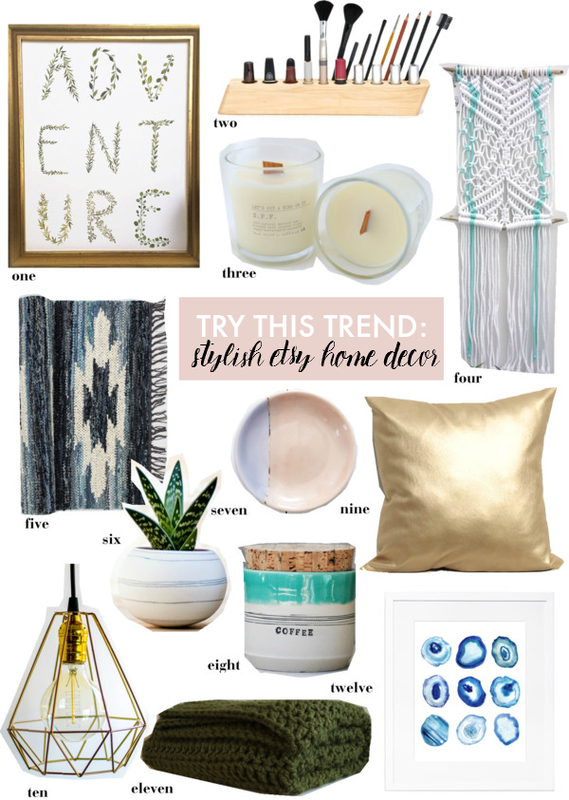 Do you have a favorite Etsy shop for home decor on your radar? Spill the deets please! These are so cute. I'm moving house in a few months so I'm looking for house inspiration. Cute home decor is my weakness!